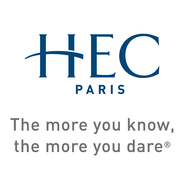 Specializing in education and research in management, HEC Paris offers a complete and unique range of educational programs for the leaders of tomorrow: Masters Programs, MBA, PhD, HEC Executive MBA, TRIUM Global Executive MBA and Executive Education open-enrollment and custom programs. Strategic Management of Innovation via Coursera 5-8 hours a week , 4 weeks long 5-8 hours a week , 4 weeks long 29th Apr, 2019 No reviews yet. Organizational Design and Management via Coursera 5-8 hours a week , 4 weeks long 5-8 hours a week , 4 weeks long 29th Apr, 2019 No reviews yet. Organizing for Innovation via Coursera 4 weeks long 4 weeks long 21st Jan, 2019 No reviews yet.